Available for qualified customers on the 2018 Passenger Van; this FMV lease is based on a $369 monthly payment, for 48 months, with 15k annual miles, a base MSRP of $33,900.00, plus a Destination and Delivery fee of $995.00, a $8,745.00 Capitalized Cost Reduction. First lease payment due at signing. No acquisition or origination fee. An FMV Lease is a Closed-end Lease. Customer will be responsible for excess damage, excess miles, return conditions, and any fees or taxes affiliated with the lease. Payment based on customer credit score of “A” through Mercedes-Benz Financial Services USA LLC. Expires 4/30/19. Available for qualified customers on the 2018 Passenger Van; this FMV lease is based on a $369 monthly payment, for 48 months, with 15k annual miles, a base MSRP of $29,950.00, plus a Destination and Delivery fee of $995.00, a $4,743.00 Capitalized Cost Reduction. First lease payment due at signing. No acquisition or origination fee. An FMV Lease is a Closed-end Lease. Customer will be responsible for excess damage, excess miles, return conditions, and any fees or taxes affiliated with the lease. Payment based on customer credit score of “A” through Mercedes-Benz Financial Services USA LLC. Expires 4/30/19. Available for qualified customers on the 2019 Cargo Van; this FMV lease is based on a $519 monthly payment, for 48 months, with 15k annual miles, a base MSRP of $39,790.00, plus a Destination and Delivery fee of $995.00, FMV Lease Cash of $1,500.00, a $1,557.00 Capitalized Cost Reduction. First lease payment due at signing. No acquisition or origination fee. An FMV Lease is a Closed-end Lease. Customer will be responsible for excess damage, excess miles, return conditions, and any fees or taxes affiliated with the lease. Payment based on customer credit score of “A” through Mercedes-Benz Financial Services USA LLC. Expires 4/30/19. 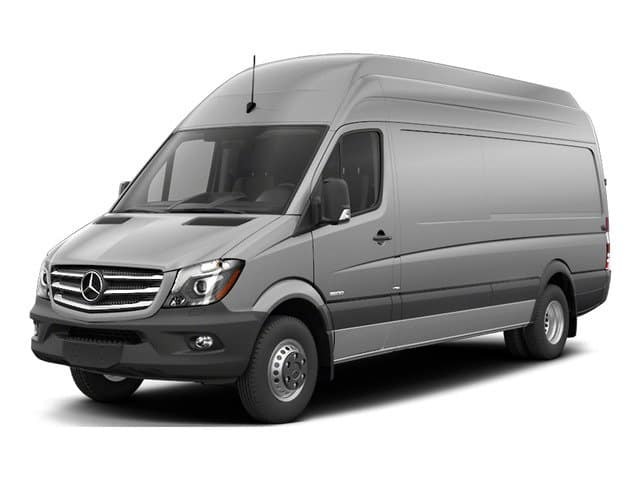 Get your business moving in a 2019 Mercedes-Benz Metris Cargo or Passenger Van. Perfectly sized for your business, these vans come with a standard 74.4-inch roof height that easily fits in your garage or city parking structure. Available in two wheelbases, 126-inch or 135-inch, navigate your way through narrow streets with a turning radius of just 36-feet 4-inches while still loading up to 186 cubic feet of supplies and tools inside. For more information on finance offers head on down to your Mercedes-Benz dealer today. If you are considering lease specials, also check out the VanCARE® Lease-End Protection offer. The smaller size does not mean you sacrifice performance. Under every hood of a 2019 Mercedes-Benz Metris Van, you will find a turbocharged 4-cylinder 2.0L engine that delivers an impressive 208 horsepower and 258 pound-feet of torque, ready to accelerate you through traffic to the next job. Its EPA- estimated 22 mpg highway helps you keep an eye on traveling expenses without giving up muscle. The standard seven-speed automatic transmission offers up a smooth ride. However, if you are looking for a little more response, opt for the 7G-TRONIC PLUS® automatic transmission with paddle shifters. Save even more at the traffic signals when you upgrade your engine with ECO-START® technology, that cuts the power until you step on the gas when the light goes green. Whether you select the cargo or passenger model, it will work every day to lower your operating costs with a 15,000-maintenance interval between oil changes. When you are on the road so much, advanced safety options also contribute to your bottom line by preventing accidents. Each van comes standard with Crosswind Assist and the Electronic Stability Program that adjusts braking and the suspension to stop the vehicle from crossing lanes or shifting the load. Attention Assist® takes care of the driver by providing timely alerts when drowsy driving is detected. In the case of an emergency, the Rescue Assist® QR code allows first responders to locate crucial systems and shut-offs in the vehicle quickly. 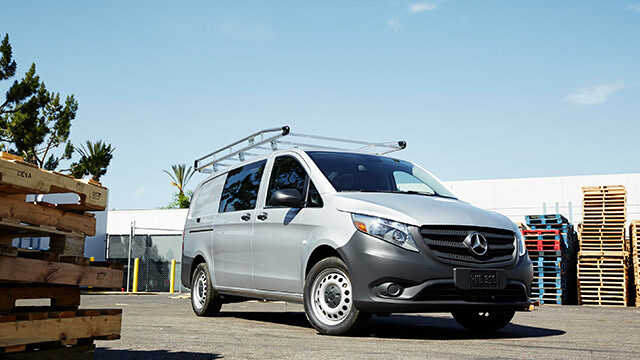 2019 Mercedes-Benz Metris Cargo Van: Get more done with a longer wheelbase of 126 or 135 inches, providing more versatility compared to a compact van with a cargo volume 183 cubic feet. The 50-inch wide cargo floor can handle entire pallets with a maximum payload of up to 2,425 pounds. The lower rear bumper and load height of just 22-inches make loading up less strenuous. Under the hood, find the 2.0L turbocharged 4-cylinder engine with 208 horsepower and the 7-speed automatic transmission providing all the energy needed to power through your day. Up front, there is room for the driver and their co-worker. Add a hitch and bring even more gear as it can tow up to 5,000 pounds. Build your van with your choice of a couple rear doors including the large lift gate or 270-degree hinged doors for easy loading. Once inside, take your design to the next step using the Master Solutions upfitting options designed specifically for your trade including HVAC, plumbing, electrical, or delivery. Install a mix of shelving, locking storage, dividers, and cargo tie-downs to get your tools to the site securely. Add a set of available roof rails or ladder racks to bring along oversized items. Tow the trailer with added confidence as Crosswind Assist and the load adaptive electronic stability help you to maintain control of your loaded van. The cockpit starts with premium cloth seats and offers quality upgrades such as black leatherette upholstery, manual lumbar adjustments or power controls. Bluetooth® connectivity allows access to streaming audio and hands-free calling. Add to your mobile office with the color touchscreen, available navigation, cruise control, and the multifunction steering wheel. 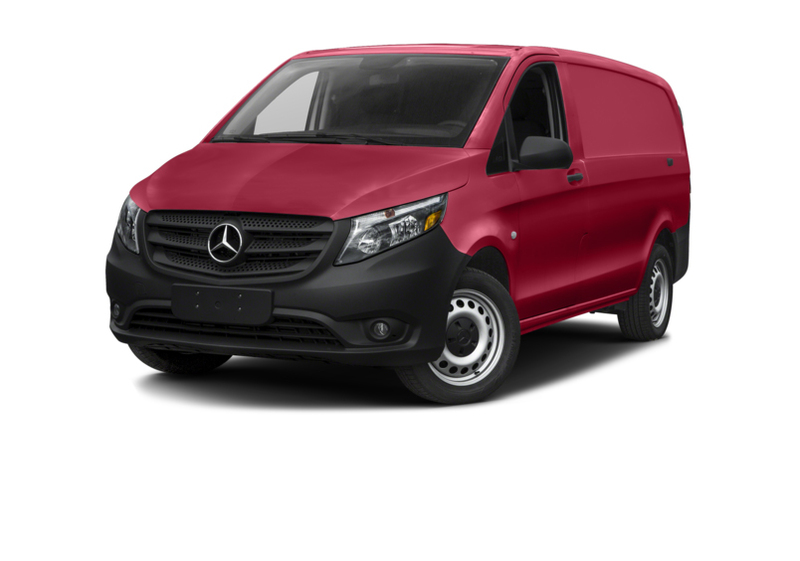 2019 Mercedes-Benz Metris Worker Cargo Van: Stay on budget while keeping your business on track. The Metris Worker Cargo Van offers fewer package options but is ready to deliver plenty of performance. The chassis is built on the 126-inch wheelbase, features the same 2.0L turbo engine and transmission, and keeps an eye on expenses with a 15,000-mile maintenance interval. Open the 270-degree rear door cargo wide to access its impressive storage capacity. While trimmed out in the basics, the towing capability remains at 5,000 pounds. This van is available in a versatile white color that can easily be personalized with your business graphics. The interior upholstery is a textured cloth while the seats provide plenty of support for a long drive. The black vinyl dash is highlighted by the AM/FM Radio with a Bluetooth® interface and 12-volt auxiliary outlet to keep your driver connected to the office and charged up. Standard safety innovations include ATTENTION ASSIST® that detects when you wander from your lane or exhibit other drowsy driving symptoms sounds an alarm and provides a reminder that it is time for a break. The rearview camera shows a clear view behind you when backing out of any space to help you avoid any unfortunate incidents. Find out how affordable the 2019 Mercedes-Benz Metris Worker Cargo Van is with Mercedes-Benz financing options and great lease deals. 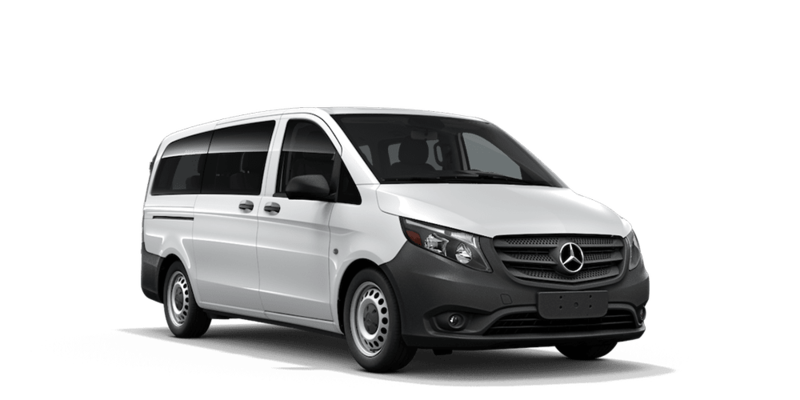 2019 Mercedes-Benz Metris Passenger Van: Build your passenger van with the features that your riders value. Start with the roomy three-row seating for seven or eight. The seven-seat configuration provides easier access to the back row by eliminating the seat nearest the passenger side sliding door. Inside, your guests can enjoy Tunja Black fabric or black leatherette seating surfaces. Add a second sliding side door with available power for improved egress and faster loading of passengers. The available privacy glass on all sides blocks out glare and curious people walking past. The optional rear liftgate pairs with the low 22-inch bumper height to reduce the strain of loading up luggage at the terminal. The tight 36-foot 4-inch turning radius helps you pull in and out of parking areas without bumping the curb. When people are your cargo, careful attention to safety becomes a higher priority. Select the Premium Safety Package protects your guests better on the road with lane keeping assist, blind spot detection, heated side mirrors, and rain sensing wipers. The PARKTRONIC® system provides sensors, warnings, and guidance to fit into tighter spaces. The illuminated exits improve visibility when you drop off riders at night. Add the Enhanced AC package for their comfort. It gives the air conditioning an added boost while automatic climate control maintains your cool all day long. Finish it off with your choice of premium exterior upgrades including body-color bumpers, black roof rails, and 20-inch alloy wheels. 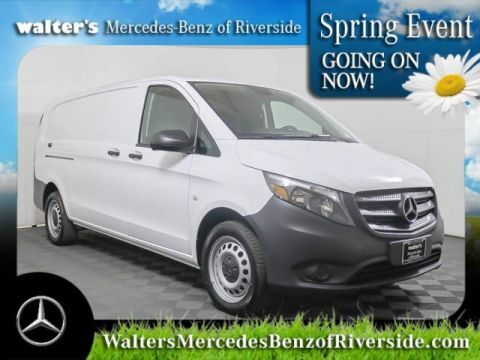 2019 Mercedes-Benz Metris Worker Passenger Van: If you are seeking a budget-friendly option, the Worker Passenger Van is ready to satisfy your need for dependable performance and to help the books balance. Available with the seven-seat configuration, a single side sliding door, and three color options including Arctic White, Obsidian Black, or Brilliant Silver Metallic, it is designed to meet most of your business demands. Behind the last row, there is room to stow up to 35.8 cubic feet of luggage. Add the roof rack and secure additional equipment up top. Three packages slim down the choices but deliver all the extras your passenger service requires. The Convenience Package adds the features of cruise control, heated power side mirrors, a heated rear window and wipers, and rain-sensing system. The Appearance Package upgrades the upholstery to black leatherette, adds black roof rails, color-keyed bumpers, wheel covers, and courtesy lights for the liftgate. The Comfort Package a power passenger side sliding door, blind spot assist, a multi-function steering wheel, and a 4.2-inch driver information displays. Add a 2019 Metris Worker Passenger Van to your garage when you shop available lease deals today. Your 2019 Mercedes-Benz Metris cockpit is ready to get to work starting with its easy to navigate audio center featuring an AM/FM radio, a large color display that doubles as the rearview monitor, and integrated Bluetooth® capability. Upgrade to the available navigation and keep your business on the right path between stops. Take business to the next stage with the offered multi-function steering wheel ready to help you adjust various settings using buttons at your fingertips. Find your cruise control, navigation, and automatic climate control on the wheel and positioned to be operated which keeps the driver focused on the road ahead. The comfort seat design provides extra support for those long days on the road. Available lumbar support is adjusted using a lever on the side of the driver’s seat. Give your captain’s seat power controls when you upgrade to the available black leatherette upholstery and leather-wrapped steering wheel. Configure the passenger model for 5, 7, or 8 with 2 or 3-row seating, providing the right mix places for people and their stuff. Add on exit lights and handholds for a more accessible entrance. The 2019 Mercedes-Benz Cargo Van features a floor that is 50-inches wide ready to fit pallets for your next full-sized order. You can opt for a durable wood floor that is ready to stand up to abuse or provide a functional work surface. Look for the upgrade that LED illumination for the cargo area walls, so you can keep working after the sun sets. The nearly vertical walls are designed to support a variety of upfit applications including power and refrigeration. Install locking storage, adjustable shelving, or add a barrier between cockpit and workspace to protect your driver and the delivery. Create the 2019 Mercedes-Benz Metris vehicle that best reflects your business and brand by selecting one of 9 available color options including Arctic White, Jupiter Red, Navy Blue, and Obsidian Black Metallic. Start every ride with silver painted wheel covers or 20-inch aluminum alloy wheels to give it an added lift of style. Standard black bumpers, fascia, and side mirrors can which can be upgraded to color- keyed highlights for a more streamlined appearance. The available black roof rails complete the polished look. Chrome accents are available in the appearance package. If early mornings are part of your schedule, upgrade to the available fog lamps for improved visibility. Take your choice of rear doors that help you access your supplies and tools starting with the 180-degree option. Upgrade to the 270-degree set that offers the ability for a forklift to load in a pallet without breaking it down. The optional liftgate is the perfect choice for your Passenger Van filled with luggage and sports equipment. Look for the available heated rear window with defroster and wipers to keep your view clear in all weather. The sliding side doors open wide ready to welcome your guests. Add a second on the driver’s side on the passenger van for faster egress. Replace the solid-color side panels on the cargo model with windows for better light and comfort inside or personalize the van by adding graphics in the standard paneled areas. When arriving at your destination, the available PARKTRONIC® system helps you find a spot that fits your van and provides directions to position your steering wheel that safely pulls in without constantly adjusting and repeating attempts. Blind spot detection uses sensors to find vehicles around you and notifies you of their presence. Lane departure warnings prevent you from drifting during long commutes and help you to provide a safer ride for your passengers. 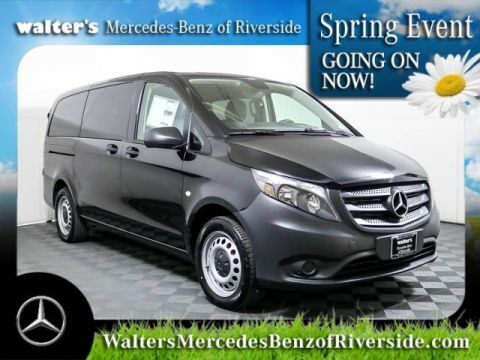 Whatever your business needs are for a commercial van, come to Walter’s Mercedes-Benz of Riverside and check out all the models, and don’t forget to ask about all the lease specials and finance options available to you. Learn more about the 2019 Metris Van interior, engine specs and more when you visit Walter’s Mercedes-Benz of Riverside. Our Mercedes-Benz finance team is ready to help you buy or lease a 2019 Mercedes-Benz Metris Van in Riverside, CA!